The Wiley X Guard is a low profile, lightweight system that brings heavy-duty protection along with unmatched versatility. 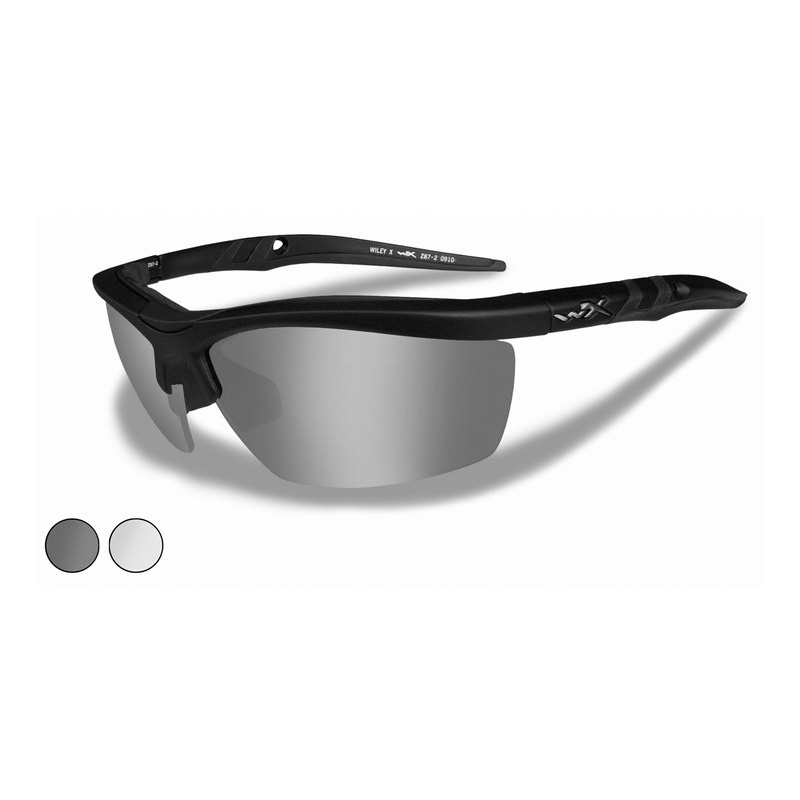 It comes with two unbreakable lenses, Smoke Grey and Clear, that snap in and out of the sturdy Matte Black frame, to provide the perfect solution for changing needs of true hunting and shooting sports enthusiasts. Two lens package which includes Smoke Grey and Clear lenses makes it easy to switch lenses in the field to adapt to changing environments, tactical situations and light conditions.